Fat Quarterly and Selvedge magazine giveaway! We're also giving away a year's subscription to UK-based Selvedge magazine. Selvedge comes out six times a year and is pure eye candy, with photos and articles all about modern textiles in fashion, interiors, and fine art. Are you looking for fresh inspiration in 2012? 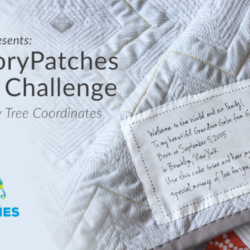 Leave a comment on this blog post or on the corresponding Facebook post, and don't forget to include your Spoonflower screen name so we can track you down easily if you win. Entries close next Tuesday, 12/27 at 7:00 pm EST, and two winners will be announced Wednesday, 12/28. Good luck, y'all! Selvedge looks beautiful! I’ve never heard of it. Wow! I would love to win a subscription to either magazines. zoebrench. I’d love to win a subscription to either of those! THANKS for the chance! lemonadefish loves magazines *and* sewing! These magazines look wonderful!! Here’s hoping…! Both look fabulous, very inspiring! Either of these would be a wonderful treat to have. Thank you for the give away! I’m craftymapmaker on SF. 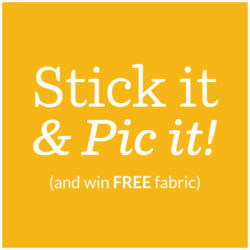 Great giveaway, Spoonflower. Thanks for all the awesome “treats” for your members! Happy Holidays everyone! Oh these would be a joy to win! Thanks for all of the fun spoonflower. What a great giveaway! I would be thrilled to win! 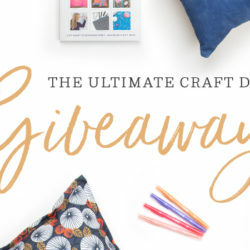 I would love Selvedge (or fat quarterly), what a great giveaway! I love Selvedge! I would love to win a copy of that and Fat quarterly!!! Thanks for the opportunity, spoonflower! Ooooh! Selvedge is such an amazing publication but sadly not within my current budget… winning a subscription would be such a treat! Happy Holidays, Spoonflower folk! They look great. I would love to win a subscription to either. Oh how i love both of these magazines! What a wonderful giveaway. Whoever wins is so very lucky! Another giveaway?! Thanks for the opportunity.. eye candy indeed! Both look fabulous! No spoonflower name but email is mpustejovsky at gmail dot com. Wow, what a great giveaway. Thank you for entering me in your giveaway. I love Selvedge and I am new to Fat Quarterly. Excited for the possibility of more inspiration! please enter my ticket! thanks for all the giveaways! So fun! Hope you have a Jolly 2012. I absolutely love the Selvage and its a little out of my budget!